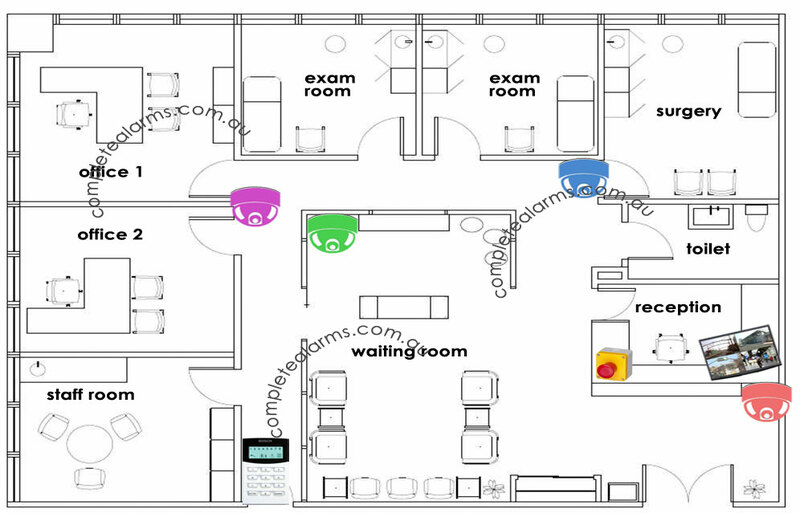 Medical Centre Floor Plan with 4 connected analog CCTV camera surveillance and a standard Bosch Alarm system. Our security consultants are well experienced to help you position your CCTV cameras in the most suitable location at your medical practice. Generally a 4 analog CCTV camera system is sufficient for most medical centres. However, if you require high definition monitoring, please ask us about it. Most CCTV cameras are positioned to monitor hidden hallways or areas where there are frequent patient traffic but where staff supervision is limited. This will allow receptionist staff to monitor these pathways from one surveillance monitor. It is important to practice your centre’s own due diligence to install a suitable security system to protect both patients and staff in the event of any unexpected incidents. If you centre require other security recommendations, feel free to discuss with our security consultant to advise you on the best security equipment. A high clarity monitor will ensure your staff can keep watch on patient traffic within the medical centre during business hours. All Complete Alarm CCTV packages comes with a free connection to mobile and tablet devices, so you can view activities remotely on-the-go. Panic buttons are great for immediately sirening the alarms should you medical practice experience any threatening situations. 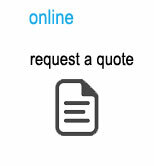 This simple addition and peace of mind will only cost an additional $165+GST.